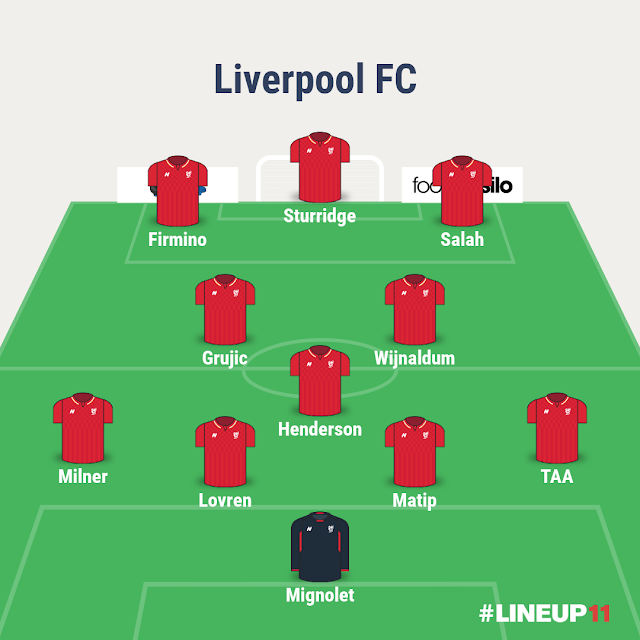 Home Unlabelled CONFIRMED: Expected LFC line up for today's game vs Crystal Palace! CONFIRMED: Expected LFC line up for today's game vs Crystal Palace! Liverpool are set to take on Crystal Palace this afternoon at Anfield. Reds will look to improve their perfomance from last week frustrating draw against Watford. Possible Line up for today? Sadio Mane and Emre Can missed midweek training and expected to miss on todays game. TAA Matip Lovren Milner at back. Wijnaldum Marko Grujic and Henderson In midfield. Firmino Sturridge and Salah upfront. Marko Grujic set to make his ist epl start for Liverpool. Sturridge may as start up front with Mo Salah and Firmino on flanks. Remember Reds have lost last 3 premier league games at Anfield vs Crystal Palace. So this game won't be walk in the park for Liverpool. Hopefully Reds secure 3 points this afternoon at Anfield and hit the ground running.